Enjoy, my art comes from the heart and is a intended to delight and stimulate the senses, ignite your memories and leave you with a pleasurable warm glow. My art is available in a variety of formats and media, ask if you'd like something special. About Me: I create for the pure pleasure of invoking smiles, provoking thought, and enriching life. Move through life gently, hold your principles firmly, and laugh, love, and sing, whenever possible. My Interests: Beauty and stories can be found everywhere. » You can find more of my work and strange sense of humor at my Zazzle site. Coming soon, matching postage for many of my cards here. Within these virtual walls art, hope, and love reside, nurtured with gentle sometimes quirky, humor and genuine warmth. I hope to delight, stimulate, encourage and intrigue you. I truly hope you enjoy your visit. If you are interested in Licensing any of my designs please contact me via the Contact the Artist button. Some of your work leaps off the page with kinetic energy! I really like your shop. I am pretty new here, and wow, you are an inspiration! I love your art, and your sensitive cards. What a wonderful place to browse for that special card! You truely have a wonderful selection of cards! 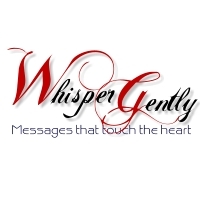 Just wanted to pay a visit to your shop.....you have such a wonderful mix of cards, including ones that "whisper gently." You have a way with words, too! Keep on inspiring! Hi Jeff, you are very versatile - I sometimes think: where do you get all those ideas from??? Wonderful collection of cards, beautiful designs and meaningful inside verses - you are very creative! Incredible cards. Love your creativity. the amount of cards you have is overwhelming. Whew!! Every time I visit your store, I find a new treasure! I'm inspired with every one. Wow! I'm impressed! I love the artwork and how unique everything is. So different from some of the sites with only one style or card that has the verse changed to fit every occasion. Can't wait to see more of your ideas! This is a lovely collection of cards -- unique and very special. You have a real talent for writing the verses inside, too.